(Josh is answering all questions) Age 28, I am a Texas native who grew up loving music; the youngest of 8 children. I live in East Dallas with my wife Jen and daughter Anelie. I started songwriting at 13 when my uncle decided I was old enough for the guitar (the only thing) my dad left me when he died. A majority of what I’ve written has been on that guitar. Dallas: I’m not sure it’s a process as much as it is a way of life. I don’t think songwriting should be hard work. I was huge into musicals growing up and somehow I connected with these characters who were walking around singing their life. It was spontaneous and heart-felt. As a kid I didn’t think “Oh man, Meredith Wilson must have SLAVED over this one.” But when I started writing music I couldn’t picture toiling over a concept until completion. Most of the time when I sit down to map out an idea, the entire song has been written in my head for quite some time. There are always exceptions to the rule but my process is more like solving a puzzle than building a structure. Dallas: I’m most proud of what I’m going to do next. Not just in song writing but in life. My mind is very critical so when I finish writing a song or if I look back on yesterday as a parent or husband I always find little things I wish I would have put a little more effort into. I wouldn’t go back and change anything but I definitely wake up each day with the expectation that what I’m going to do today is going to be what I’m most proud of. It can cause far too much anxiety and I’m not sure it’s a good way to live life but something in my past has wired me that way. OSW: How did you meet in Dallas? 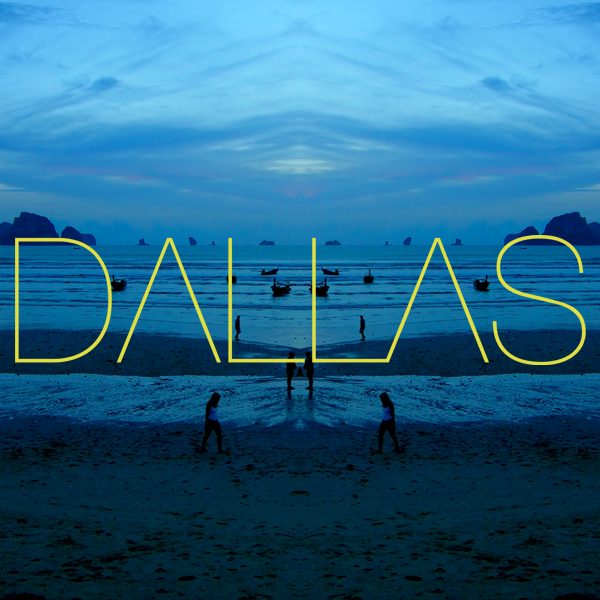 Dallas: This is where our love triangle began. Tyler Halford produced and engingeered an album I released in 2006. From that point on we knew it was just a matter of time before we did something together. I was hired to play Rhodes at a Bob Dylan cover show where I met Taylor Johnson who was hired to play guitar. Again, Taylor and I knew it was just a matter of time before we made a project together. I believe the story goes that while Taylor and Tyler, who met as hired musicians on a tour, talked about doing something together and both knew of a singer in Dallas who was perfect for the project. It didn’t take them long before they figured out they were talking about the same guy. OSW: How did you end up in California from there? Dallas: Taylor and Tyler migrated to California as guys who are in pretty high demand as musicians for hire. I just followed them there. Now I spend my time at my home in Dallas and travel to work with them as needed. Dallas: Lyrics tend to come together all at once. They don’t always come immediately at the beginning of the songwriting process but once one particular lyrical phrase stands out to me, the rest of them fall in place soon thereafter. But again, there are of course, exceptions to the rule. Dallas: I wish I knew. I don’t think any of us have actually seen an episode. I’ll go with Bobby. Dallas: By me or any? If there was a sequence of lyrics I wish I would have written it’s from the bridge of ‘Lover You Should Have Come Over’ by Jeff Buckley. “…It’s never over, my kingdom for a kiss upon her shoulder…all my riches for her smiles when I slept so soft against her…all my blood for the sweetness of her laughter…she’s the tear that hangs inside my soul forever.” I’d be too embarrassed to put anything I’ve ever written up against that but the lyrics of ‘Creator’ are the ones that came to me as if someone else was writing them for me. Dallas: If you want to run a marathon you have to start by jogging short distances at an embarrassingly slow pace. No one has to know just how embarrassingly slow that first mile was but pretty soon you are running a 10th and 20th marathon in attempt to better your time. That’s songwriting. You have to get quite a bit of bad songwriting out of your system before you begin to craft things that are worth displaying. After that, it’s a matter of continuing the process of getting better. You may never beat the Kenyan, but as long as you are beating your past self, you better keep writing. Dallas: There are so many artists who’d I’d like to sit down with but David Gray seems to have his finger on the pulse of what I feel escapes me as a songwriter which is lyrical content. We are saying all the same things, he’s just doing a much better job at crafting it. This entry was posted in Interviews and tagged Dallas, interview, Lyrics, Music, Songwriter, Songwriting. Bookmark the permalink.